Patrick has four kids who have a wide variety of interests, so keeping up with them consumes most of his free time these days. Though he used to go out mountain biking and ballroom dancing to unwind after working hard in the lab, Patrick is more likely now to spend his time hanging out with his kids and watching TV series marathons with his wife. In the lab, Patrick is working to understand the fundamentals of how a cell works. Specifically, his group studies cell nuclei which hold all of the DNA of the cell. They are interested in examining how the nucleus forms and how its functional and molecular identity is maintained throughout the lifetime of the cell. Structures in the membrane of the nucleus called nuclear pore complexes are important for managing the proteins that go in and out of the nucleus to maintain it, and these nuclear pores undergo changes in aging and certain diseases. Discovery-based science was not something that came to Patrick naturally. He didn’t spend his childhood studying things under the microscope or creating his own experiments. Going through school, Patrick had the impression that science was just a set of facts that you learned from textbooks. He was attracted initially to science and medicine because he thought it was a practical thing to study. The career path of going to medical school and becoming a doctor seemed clear and was highly regarded. During his senior year in college, Patrick met his PhD advisor-to-be and was introduced to what science is really like. This opened his eyes and changed his career trajectory. One of the challenges Patrick has faced is that he tends to be conservative and cautious in life and science. He doesn’t take many risks and has always pursued a relatively safe road. In his research, Patrick has studied the same area since graduate school and never took the risk of working on something completely different. This has been valuable since he is now considered an expert in his field, but Patrick is often left wondering if taking a risk and doing something novel and different may have paid off. His most recent and proudest achievement has been the graduation of his first student. This student did extremely well, winning the top thesis prize from the department, publishing a well-received paper, and securing an excellent postdoctoral position at UC Berkeley. Being a mentor to students has been like being a parent to them, and it has been really rewarding for Patrick to watch his students grow as scientists. For Patrick, one of the best parts about science is the travel opportunities. He was able to attend a conference in Taormina in Sicily when he was a postdoc because his advisor didn’t want to go. Patrick was excited to present the great work he had just completed and get exposure to people in the field at the highest levels. The conference was excellent, and Patrick and his wife stayed in a beautiful place with spectacular views of the Mediterranean Sea. They tied this trip together with their honeymoon and toured Sicily for a few weeks afterwards. One of Patrick’s fondest memories of graduate school was that when his advisor was out of town, he and his peers would all escape to a lakeside cabin belonging to a friend. These trips were always a lot of fun. Currently, Patrick has a tradition of hosting an annual BBQ with his and his wife’s labs. This is paired with an annual badminton tournament where the winner gets a custom trophy created with miscellaneous labware. They have also recently started an April Fools’ Day prank tradition. If you want advice, pick someone you respect and want to emulate. They will give you the advice that helped them get to where they are, and this could be valuable for your own journey. Choose your mentors wisely, and always surround yourself with people who are smarter than you. Patrick is a native of Canada and, like most Canadians, spent his childhood learning how to take advantage of the winter on skis and skates. He lived in several cities in Ontario and moved to Edmonton, Alberta just before starting High School. Being close to the Rocky Mountains, he enjoyed mountain biking and skiing throughout college and graduate school. During his PhD, he learned that nuclear pore complexes are the most interesting protein complexes in the cell, which lead him to the laboratory of Günter Blobel at the Rockefeller University in New York City. In addition to the incredible research experience, Patrick met his wife, Megan King, who is also a scientist. Both researchers were recruited to the Department of Cell Biology at Yale University where they started independent research labs. 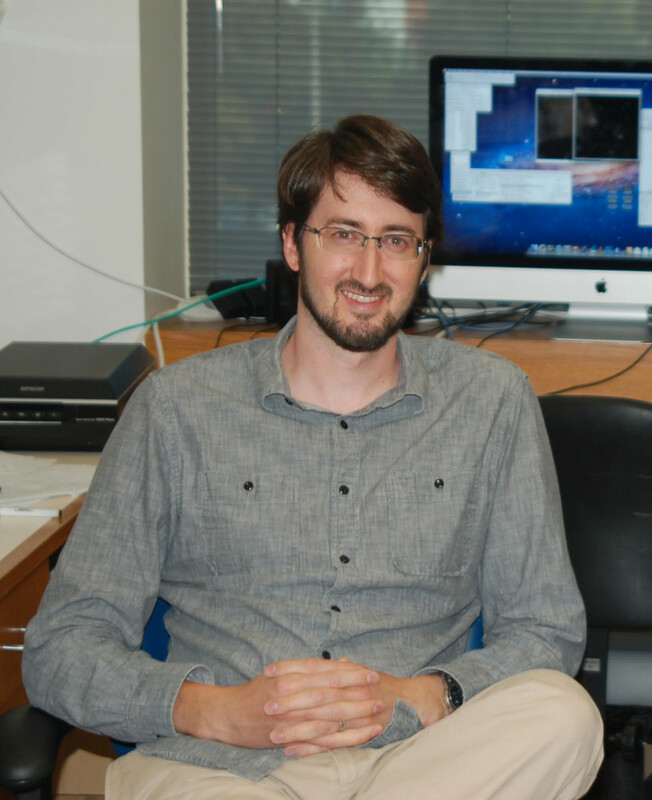 Patrick currently has a fantastic lab full of motivated undergraduates, graduate students and post docs; his work is primarily funded by the National Institutes of Health.